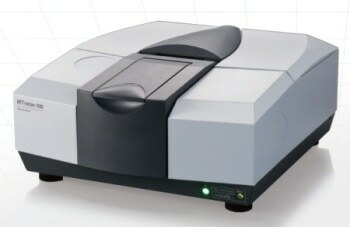 The IRTracer-100 FTIR Spectrophotometer from Shimadzu has an improved interferometer and detector design. It offers superior sensitivity with a 60,000:1 S/N ratio. When the LabSolutions IR Contaminant Analysis Macro is combined with this sensitivity; easier, faster, and more precise analysis of small samples can be conducted. The IRTracer-100 system can be customized by users, with a number of accessories and user-friendly software options to match the requirements of a specific application. Windows applications or LabSolutions IR Programs can be operated easily with the Dedicated LabSolutions IR Launcher. Polymers, such as polypropylene (PP) and polyethylene (PE), are the key components of commercially available plastic products, which also contain other additives in trace quantities to enhance performance and maintain quality. 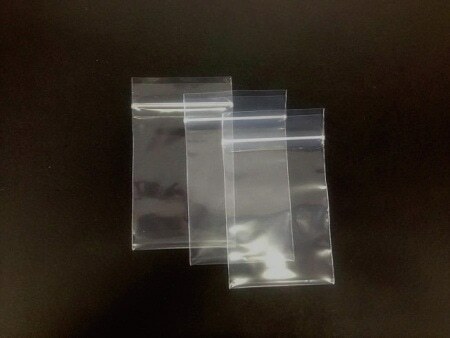 The analysis of additives used in plastic bags by exploiting the high S/N ratio of the Shimadzu FTIR IRTracer-100 spectrophotometer is described here. Single reflection ATR is an extensively used IR spectroscopy method for easy, non-destructive analysis of additives in plastic products. This technique enables measurements to be performed without any sample pretreatment, making it suitable for a many applications, including contaminant determination. As the depth of penetration of the infrared light into the sample’s surface is on the order of a few microns, the ATR technique is suitable for additives localized on the surface of the sample. The target component’s peak intensity in the measured infrared spectrum will decrease when its content ratio becomes smaller. An instrument with a high S/N ratio has to be used to accomplish better evaluation results. The Shimadzu FTIR IRTracer-100 has a high S/N ratio of 60000:1, providing precise and stable peak data even for additives in trace quantities. Table 1 lists the measurement conditions and Figure 3 illustrates the spectrum search results and the measurement results. The analysis results match well with the library spectrum of polyethylene, indicating that the key component in the product is polyethylene. An expanded view in the vicinity of the baseline of Figure 3 is illustrated in Figure 4. The arrow-indicated peaks seen Figure 4 are assumed to be acquired from additives used in the plastic bags. The results are in good conformity with the spectra of aliphatic amides such as oleamide. Aliphatic amides are added to resins to act as lubricants. Once the measurement illustrated in Figure 3 was completed, the sample was removed from the ATR prism and another measurement was performed without washing the prism. The measurement results shown in Figure 5 are same as the spectrum of the aliphatic amide shown in Figure 4, indicating that the additive in the sample is transferred to the ATR prism. The peaks linked to the aliphatic amide that became visible in the measurement results of Figures 4 and 5, respectively, display very weak intensity with absorbance values less than 0.010 A. A peak is also noticed at approximately 1631 cm-1, a region that plainly highlights the existence of water vapor in the air. The hypothesis that the measurement system did not need nitrogen gas or dry air purging allowed these tiny peaks to be visibly detected. 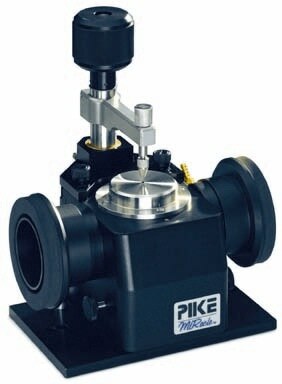 The content level can be established using the area and height value of the peak acquired from the target component, but the measurement repeatability is important for tiny peaks gained from additives. Ten repeat measurements were performed continuously with a plastic bag sample in close contact with the ATR prism. The peak area values of the peak at approximately 1631 cm-1 and the measured CV values are shown in Table 2. The integration was frequently conducted for twenty times and one time, and the resulting values were compared with the respective values obtained using the Shimadzu IRPrestige-21. The improved stability of the measurement results offered by the IRTracer-100 is because of its higher S/N ratio. Evaluation of additives present in trace quantities in the plastic resin has been discussed in this article. Due to the exceptional S/N ratio of the Shimadzu FTIR IRTracer-100, minute peaks derived from these additives were visibly and reliably obtained.